Beyer Carpet Cleaning is a small family owned business located in San Antonio. Committed to providing the best in carpet cleaning and customer service Beyer Carpet Cleaning is here for you! Carpet Cleaning can get expensive especially if you use one of those bigger corporations like Stanley Steamers or Sears. These companies have a larger expenses so they charge more but we at Beyer Carpet Cleaning do not have large expenses so we are able to keep our prices low. We pass our savings along to our carpet cleaning customers. Many carpet cleaners in San Antonio want to charge their customers for unnecessary cleanings or products. At Beyer Carpet Cleaning we do not pressure our customers into buying things they don’t need. Our small family owned business is build on the basis of fairness and quality. Carpet Cleaners San Antonio may promise a quality clean for a cheap price but they do not always live up to their word. We at Beyer Carpet Cleaning San Antonio live up to our word. If we offer a coupon or discount we honor that coupon or discount. If we promise to do a quality carpet cleaning we will provide a quality carpet cleaning. As a small family owned business Beyer Carpet Cleaning uses only professional tuck mounted equipment and cleaning supplies. We use the best of the best in order for your carpets to have the best carpet cleaning. Our small family owned business will listen to your concerns and have work with your schedule. We do our best to do what we can to earn your business and not just to earn it this one time but over and over. Small family owned business means putting the customers first. Beyer Carpet Cleaning San Antonio is here for our community. 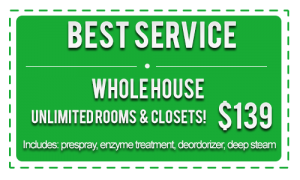 Carpet cleaning San Antonio shouldn’t have to be expensive or unprofessional. Call Beyer Carpet Cleaning and skip all the mess.